in P301 Hand Held Programmer Technical Specification Stag Programmer P301 (PDF-3 pages) you have the partnumber of this card : P321 4Mbit Memory Expansion card; P322 8Mbit Memory Expansion card. The connector on the P301 is a DB9 male. the cable is a cheap null-modem DB9 F-F cable. p.s. 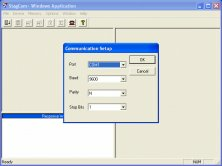 The problem updating the P301 firmware may be because the later StagCom (for DOS and Windows) may not be reliable on newer PC hardware. Although the P301 supports RTS/CTS handshaking, my experience with PP42 etc showed that it was not tested properly with a fast PC. 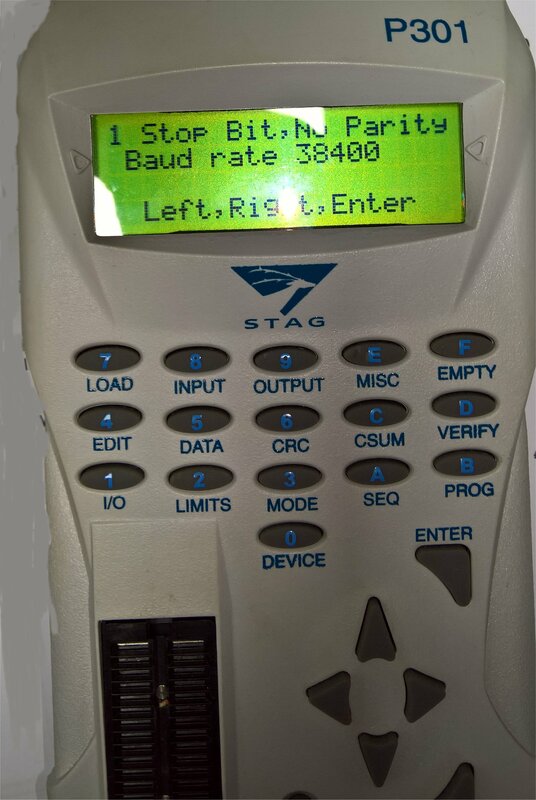 Sending data from a PC to a Stag programmer can be tricky, getting StagView to work reliably took a long time. If someone really must upgrade it they should use a slow baud rate, 9600 or less. 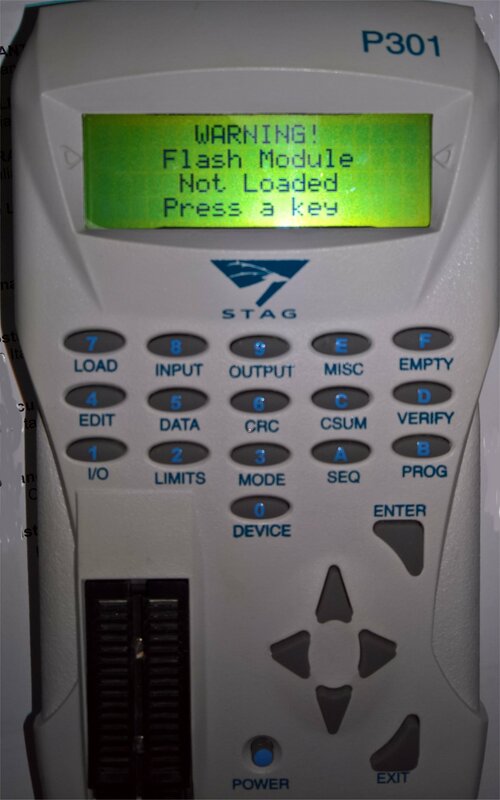 Important notice: I do not recommend to update the flash memory of the stag P301 with the Stagcom Software : it has been reported that Stagcom freeze and then the programmer is no longer working : when the operation has been branched into the display now read "Warning Flash module not loader press a key"
If you look forward for other information about this Programmer, do not hesitate to contact me by e-mail at: matthieu.benoit@free.fr . Also if you have any data about this programmer, do not hesitate to contribute to this page.